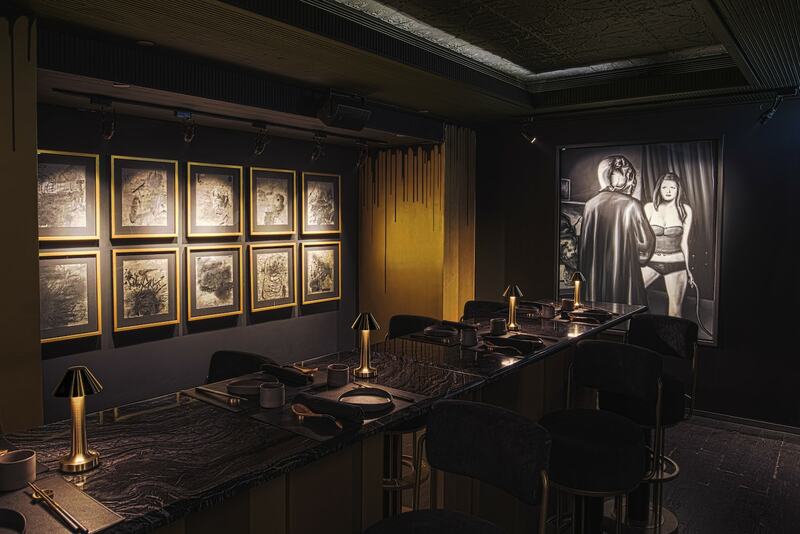 Artwork adorns the walls at Silencio. 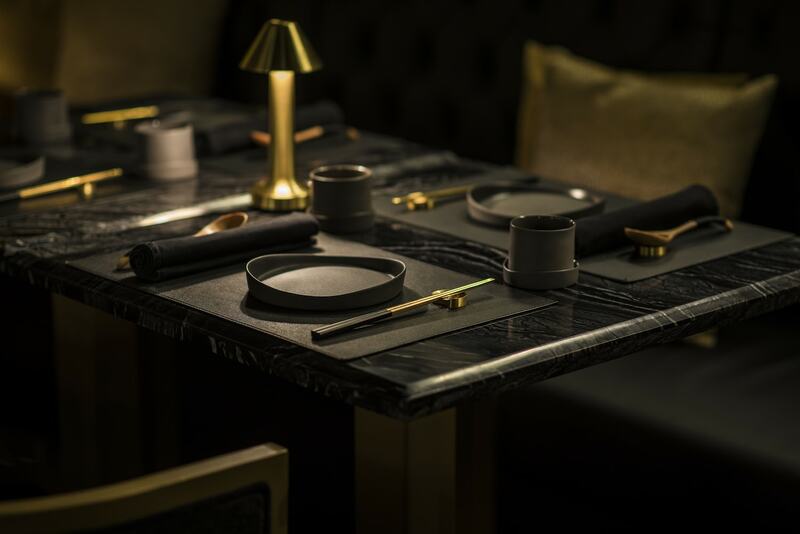 Aiming to recreate the vibrant atmosphere of Japan’s beloved drinking dens, Silencio stands out with its bold appearance: Everything from the walls to the lighting fixtures to the table settings is dominated by black and gold. In contrast, the black-and-white paintings of Tokyo-born cult figure Tomoo Gokita adorn the walls, revealing a neo-expressionistic style of art that was prominent in the 1970s. 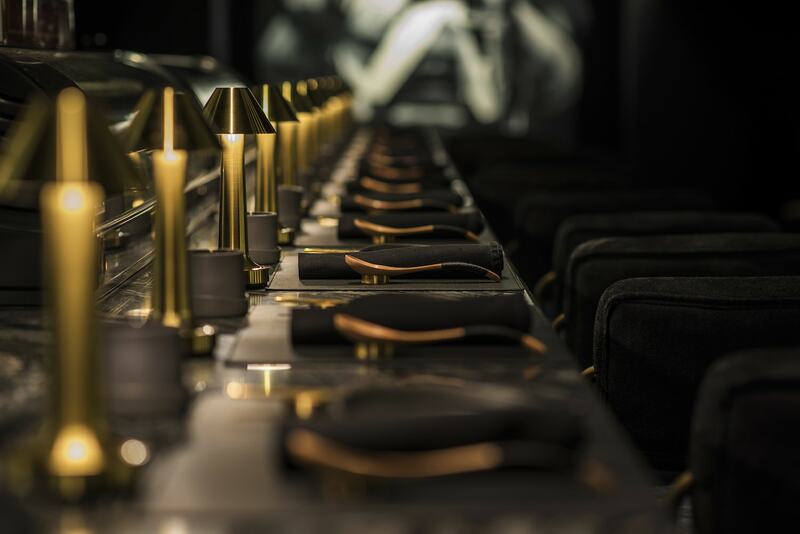 Simultaneously alluring and lurid, provocative and disturbing, the paintings adds additional intrigue to a restaurant which already seems to defy simple categorisation. In tribute to Gokita’s love of music, the restaurant also features a live music lineup of distinguished jazz musicians. The private dining room at Silencio. Black and gold dominate the dining room. 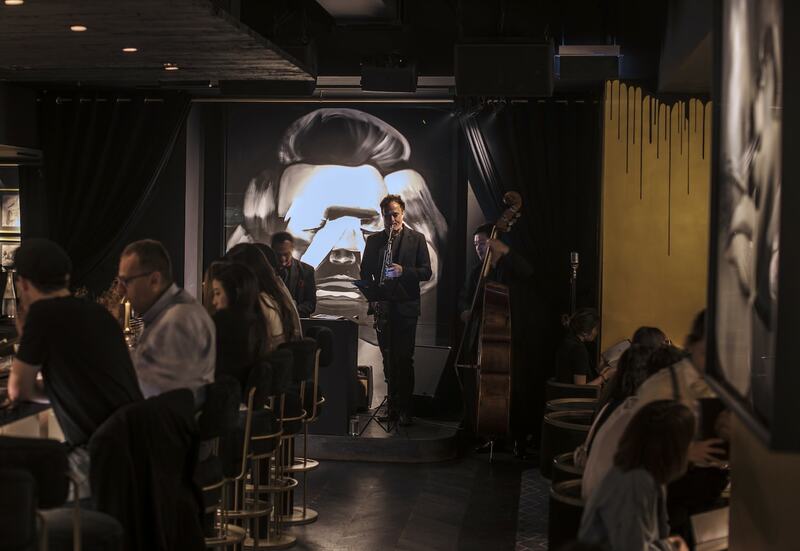 The restaurant features live jazz. Even the tableware is black and gold. Overseeing the kitchen are Sean Mell, the former executive chef of Nobu Hong Kong, and Yong Soo Do, previously chef de cuisine of progressive Korean restaurant Bib n Hops. 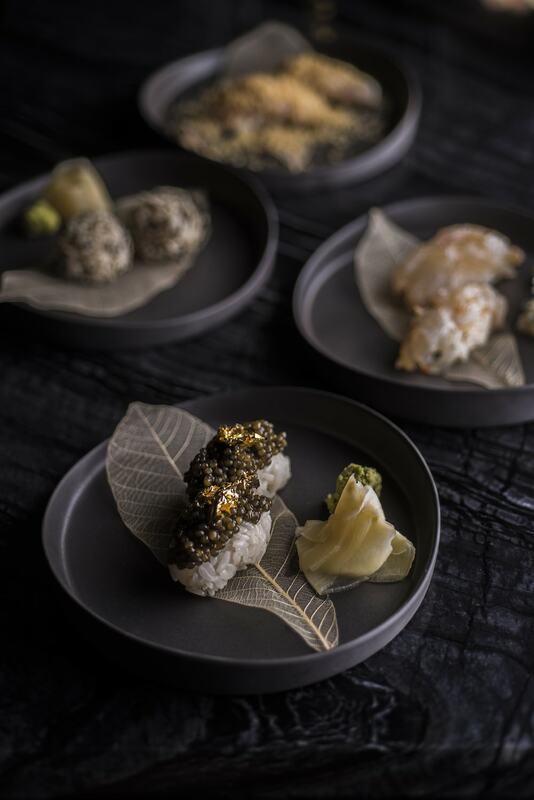 Together, the chefs have developed a menu that aims to redefine Japanese izakaya cuisine by drawing upon their own multicultural culinary backgrounds whilst using premium seasonal ingredients and modern techniques. Diners can indulge in a selection of nigiri and sashimi, specialty rolls; there’s also a katsu sandwich made with A4 Miyazaki wagyu katsu tenderloin (HK$350), which is topped with kewpie mayo and tonkatsu sauce and served on chewy milk bread. We’re also looking forward to trying the carbonara udon (HK$190), with the Japanese noodles given an Italian treatment; and the foie gras on house bar with pickled apple (HK$160). 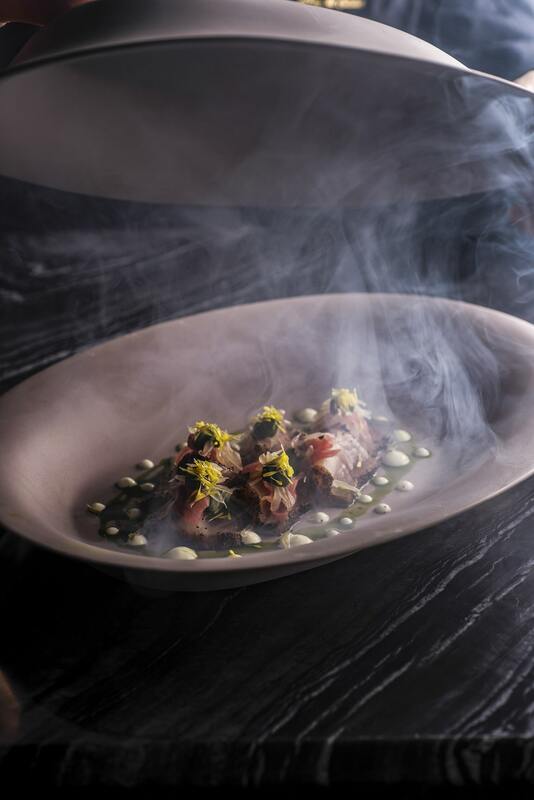 To complement the food, Silencio offers a premium sake selection comprised almost entirely of Junmai-shu, considered to be the purest form of rice wine. 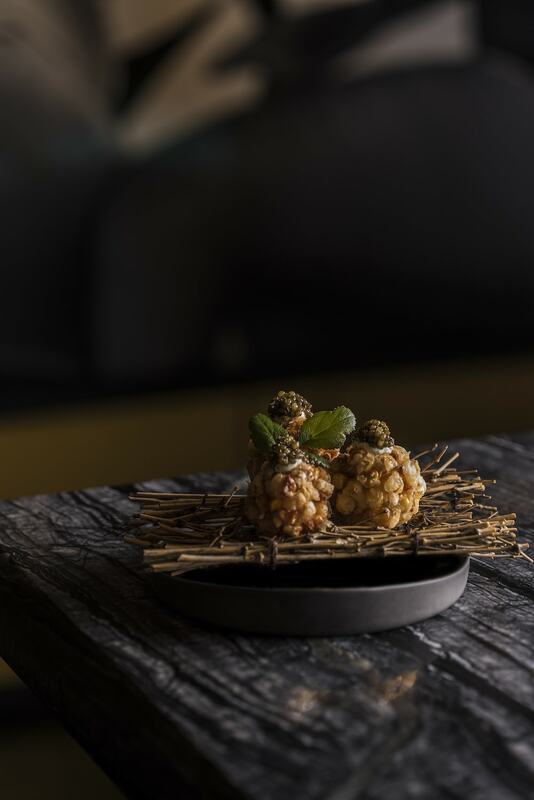 Reflecting the kitchen’s own unorthodox approach to food, many of the sakes on offer come from breweries that adopt an experimental approach to sake production, whether by reviving ancient methods or by not pasteurising the product to keep the true flavour and essence intact. Later this year, Silencio is set to unveil a collaboration with one of Japan’s most respected sake breweries with a history of over 200 years, in which they’ll create a private label sake to be released later this year, with subsequent seasonal releases. 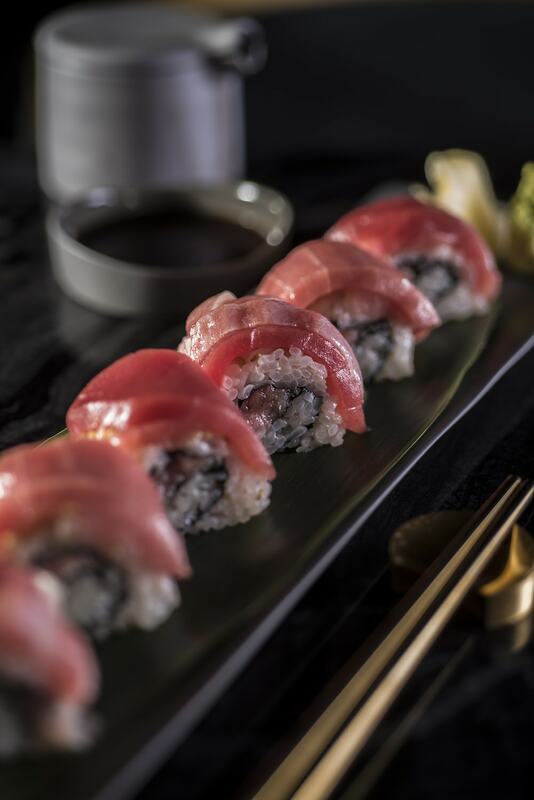 "Fifty Shades of Tuna" roll: otoro, chu toro and akami. 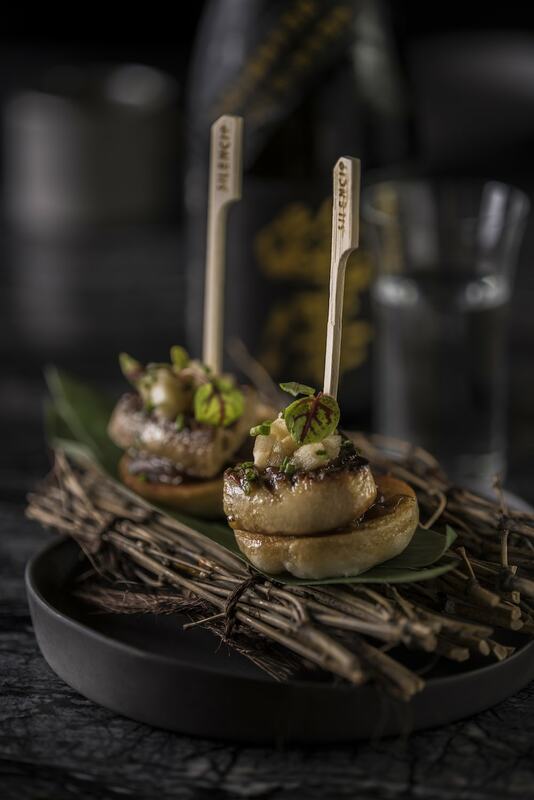 Foie gras on house bao. 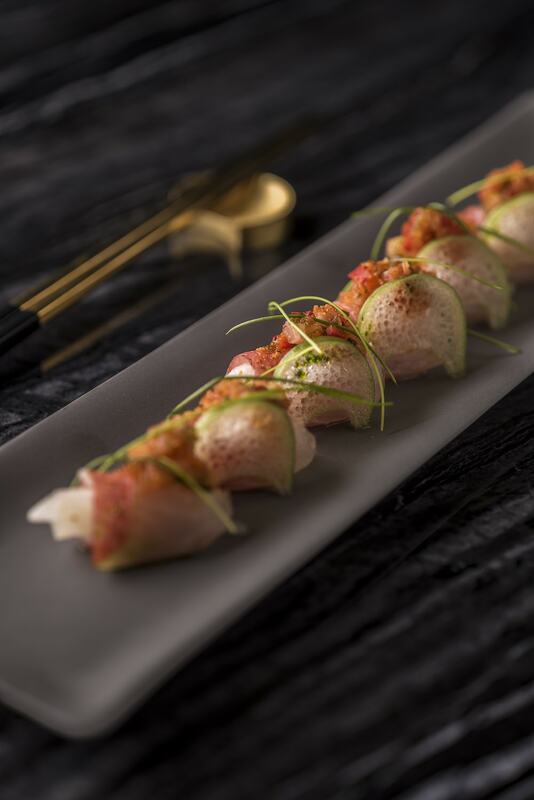 "Kim Jun" sashimi: kinmedai with Asian pear and kimchi salsa. "Pablo" sashimi: coffee-cured hamachi, watercress purée and pickled shallots. 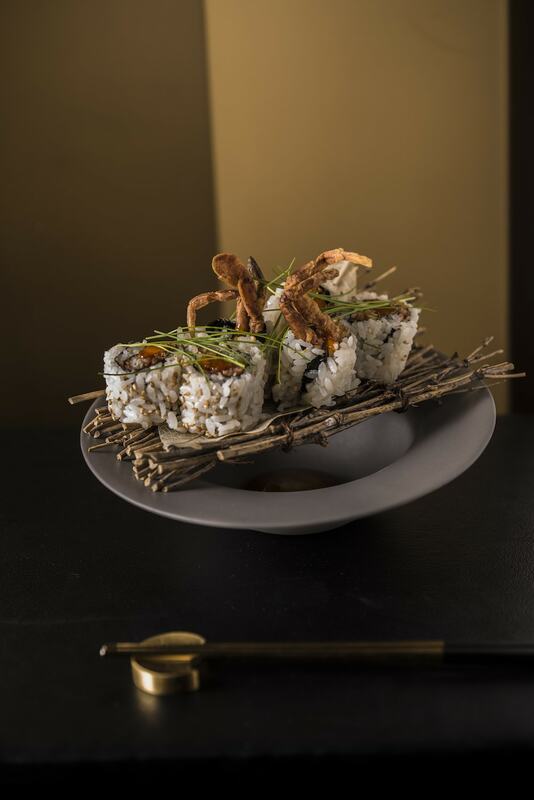 "Tay Tay" roll with Singaporean chilli crab. 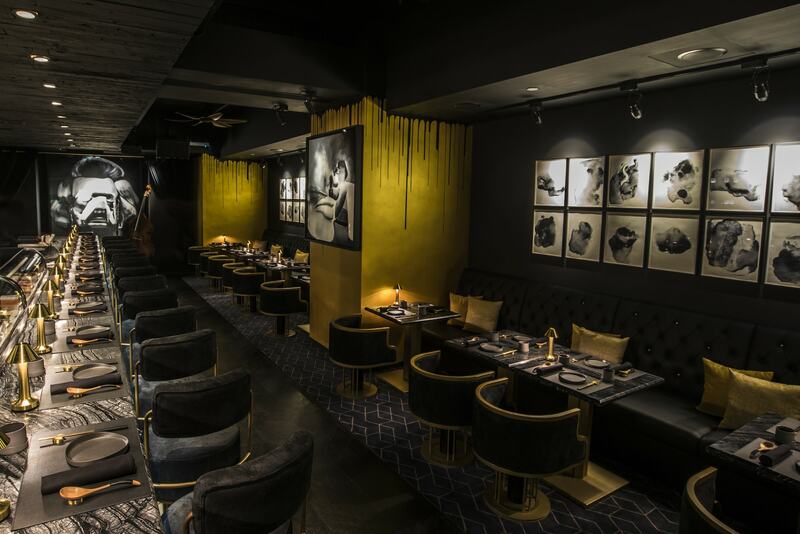 With its edgy look, provocative artwork, unconventional menu and live music programme, we’re confident in calling Silencio Hong Kong’s coolest new restaurant. It’s been a while since we were this excited about a new opening, and we imagine you just might feel the same way.